The Society’s quarterly Newsletter offered news and views and was distributed free to members. 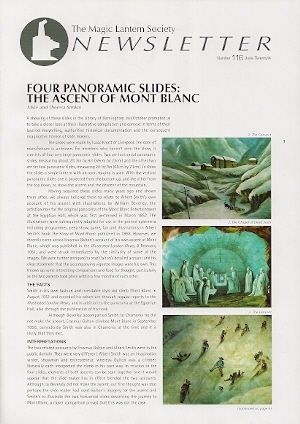 The Newsletter was published alongside and complemented The New Magic Lantern Journal (1978-2014). Issues were of 12 or 16 pages filled with items on a wide range of topics and copiously illustrated. All issues of the Newsletter have been digitised as PDF files, and we hope to make them available online to Society members in the future. Newsletter . London: Magic Lantern Society, 1980-2014.